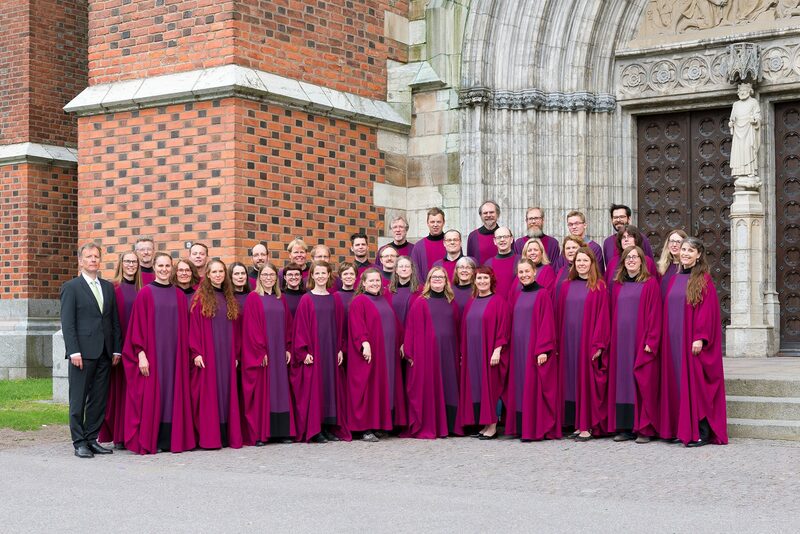 Collegium Cantorum is a chamber choir at the Uppsala Cathedral and has approximately 40 members. The choir was founded in 1983 by singers in the motet choir Schola Cantorum. The idea was to create a choir for more advanced singers who wanted to further develop their musical skills. Collegium Cantorum has a broad repertoire stretching from choral symphonic polyhony to contemporary Nordic composers. At least once a year we perform one of the larger sacred works with soloists and orchestra. In addition to participating in services the choir gives around five concerts a year. Through numerous international tours, Collegium Cantorum has become well renowned abroad. In 1993, Collegium Cantorum and Schola Cantorum were the first foreign choirs to be let into Vietnam since the 1940s. The tour received a lot of attention throughout Vietnam. The first conductor of the choir was the former cathedral organist Lars Angerdal. Thereafter the choir was led by Olle Johansson for ten years. Since 2013 our conductor has been the present cathedral organist Ulric Andersson. Apart from his long career as a church musician, Ulric has also performed as an internationally acknowledged opera tenor. Collegium Cantorum has recorded three cd’s – “Älskade Psalmer i Uppsala Domkyrka” with Swedish hymns, “The Messiah – Choral Excerpts” by G. F. Handel and “Generations” with music by the Hungarian composers Zsolt Gárdonyi and Zsoltán Gárdonyi. Collegium Cantorum is also participating on a cd with a collection of works by the Norwegian composer Knut Nystedt where the choir performs an arrangement of ”Jerusalem”, composed by Knut Nystedt for Collegium Cantorum.